Since the launch of the TRX-4, Traxxas has proven that they can jump into the world of scale R/C and hit the ground running. Now they’ve added another model to the TRX-4 line, giving their decked out trail machine a new lid and a new mission. Outfitted with an “armored” body, the new TRX-4 Tactical Unit scaler features the same chassis and electronic components as it’s civilian cousin. The main differences between the two models are purely cosmetic, with the Tactical Unit model receiving a more military/SWAT look and feel. The wheel design on the TRX-4 Tactical Unit also differs from the standard TRX-4, with the “TU” rocking spokeless rims and a SWAT-inspired, elongated wheel nut accessory. Despite the visual differences, the same chassis components and performance features of the original TRX-4 exist on this new model. If you have a taste for adventure and prefer your trail machines to be armored tanks, then this option might be the right fit for you. 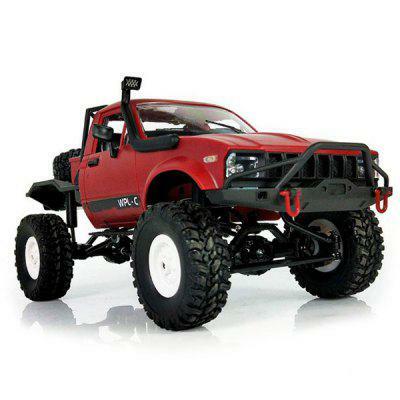 The Traxxas TRX-4 Tactical Unit scaler is priced at $449.99 and is available for purchase at traxxas.com.